The grand-opening celebration will include tours of Woodhaven’s newly finished, professionally decorated Broadmoor model home. 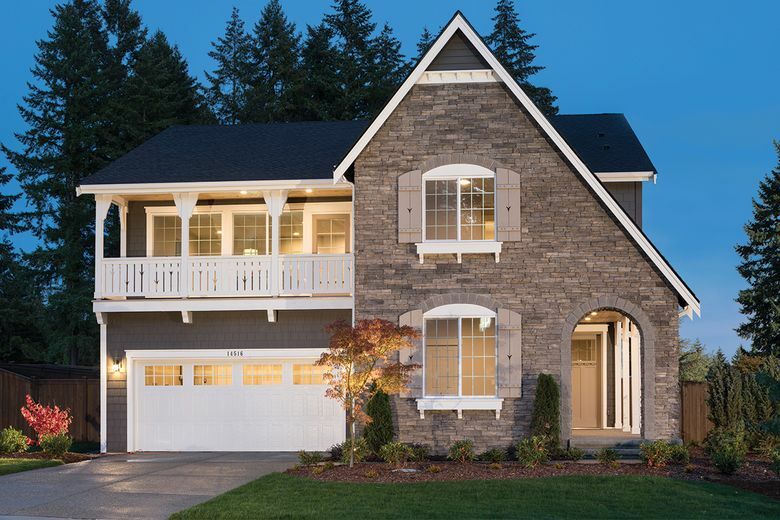 SAMMAMISH — Woodhaven by Toll Brothers is hosting a “New Year, New Home” model home grand-opening celebration on Jan. 19 from noon to 5 p.m. The event will include tours of the community’s newly finished, professionally decorated Broadmoor design, along with light refreshments and children’s henna or face painting. The shingle-and-stone Broadmoor features four bedrooms and three full bathrooms and spans 3,245 square feet. The Broadmoor’s covered entry leads to a foyer with a view of the great room and dining room beyond. The open kitchen has a curved center island with breakfast bar, ample counter and cabinet space, KitchenAid appliances and a convenient pantry. There is a first-floor bedroom and full bathroom off the foyer that is perfect for a guest suite, an extra wine room or a storage closet. Upstairs has an oversize loft with an attached covered balcony. The master bedroom has a spacious design enhanced by a large walk-in closet. It has a deluxe master bath with a two separate vanities and sinks, large soaking tub, glass-enclosed shower with seat and a private water closet. There are also well-proportioned secondary bedrooms, each featuring a sizable closet, and a shared full hall bath. There is a centrally located second-floor laundry, as well. The open kitchen has a curved center island with breakfast bar, ample counter and cabinet space, KitchenAid appliances and a convenient pantry. Additional highlights in the Broadmoor include roughed-in air conditioning, upgraded lighting, quartz countertops and extended hardwoods throughout the main-floor great room. 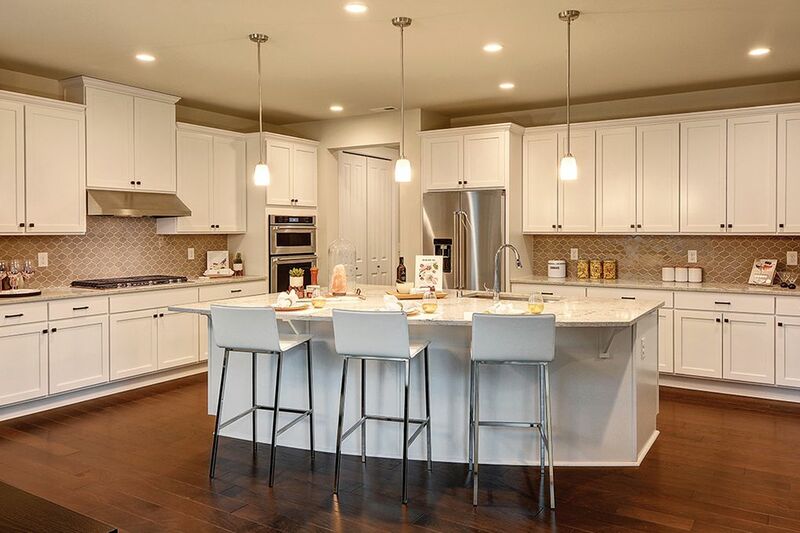 Within Woodhaven, there are presale Broadmoor designs available, enabling homebuyers to create a personalized look in their home to match their style and taste. Personalization can include material finishes such as cabinets, flooring, slab and tile. 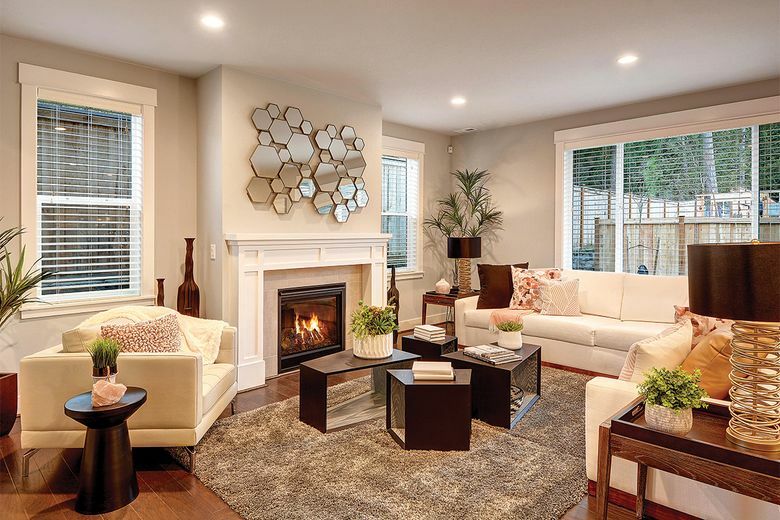 All Toll Brothers homeowners are afforded the opportunity to receive two complimentary design consultations with professional designers at the Kirkland Design studio. During the “New Year, New Home” model-home grand opening, attendees can explore Woodhaven’s tranquil wooded setting and boutique community of 20 two-story and daylight-basement luxury homes. The neighborhood is located on the Sammamish plateau within the Lake Washington School District. Fostering camaraderie among neighbors, the level topography of the Woodhaven community is perfect for walks and easy accessibility to three private parks. Parks include a children’s play area, picnic tables and grassy play lawns. The community is located minutes from major employment centers and several shopping and dining conveniences.